Fellow Justin Maxson was featured as a “Change Gang” member in Grist Magazine in December 2011. 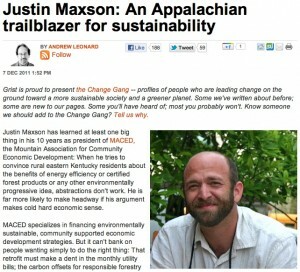 Change Gang members are “people who are leading change on the ground toward a more sustainable society and a greener planet.” The article, Justin Maxson: An Appalachian trailblazer for sustainability, was written by Andrew Leonard. As President of the Mountain Association for Community Economic Development in eastern Kentucky for the past 10 years, Justin says that “We are trying to create this new sense of what is possible, so we run a lot of direct projects that create tangible examples on the ground of sustainable development at work.” These include a combination carbon offset/certified forestry products program that has about 30,000 acres under sustainable management now and How$mart, an energy retrofit financing program. Justin credits his grandmother – a systems thinker and teacher concerned about poverty in Appalachia – with inspiring his own commitment to seek out and address the root causes of key socio-environmental challenges. Read the full article. 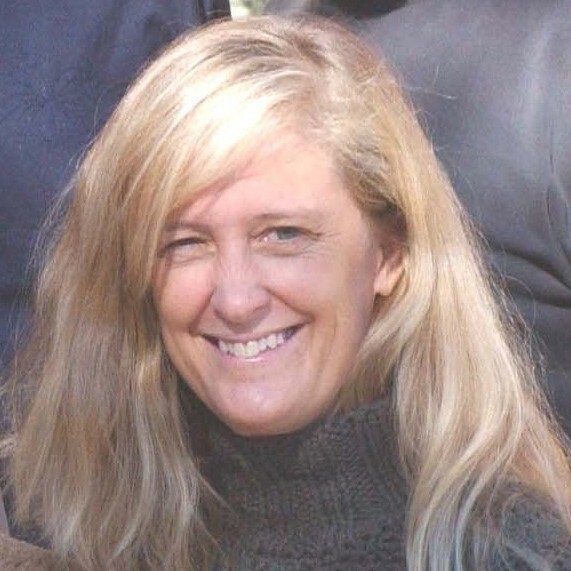 This entry was posted on Wednesday, December 14th, 2011 at 1:53 pm	and is filed under Fellows Blog, SLN Blog. You can follow any responses to this entry through the RSS 2.0 feed. You can leave a response, or trackback from your own site.